Updated: April 17, 10:27 a.m.: 1.) Rybak Development picked up a pair of East Village buildings for $12.3 million. The properties, at 24 1st Avenue and 99 East 2nd Street, contain a total of two apartments and three commercial units. The two contiguous buildings previously housed drag venue Lucky Cheng’s, which closed down after its owner, Hayne Suthon, died of cancer in 2014. The seller, Uriel Marrache, previously listed the buildings for $26 million, but was at risk of defaulting on an $11 million loan. Epic Commercial Realty’s Shay Zach represented the buyer and seller. 2.) Sorgente Group of America, the American subsidiary of Italian development firm Sorgente Group, sold three commercial condo units at 66 White Street for $13.4 million. 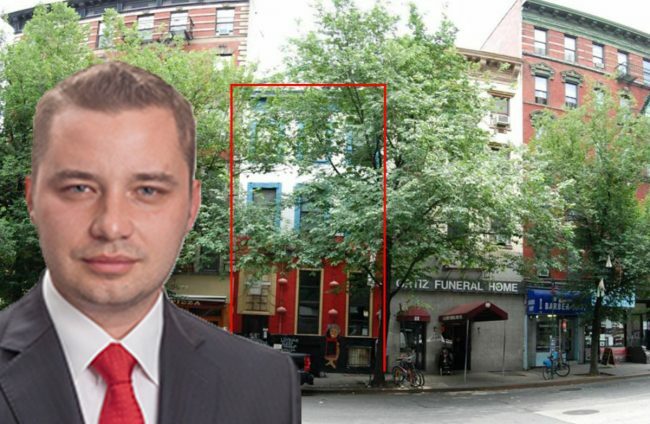 The buyer is 66 White Street 10013 LP, which has lawyer Thomas S. DiPaola as its signatory. Sorgente is best known for owning a majority stake in the Flatiron Building. Last July, Macmillan Publishers announced its departure from the landmark, marking the first time the property has been empty since its construction in 1902. 3.) Horrigan Development sold 347 Berry Street, a converted ice cream factory in Williamsburg, for $17.5 million. The six-story, mixed-use property — aptly named The Ice Cream Factory — contains 23 residential loft apartments (four studios, 14 one-bedrooms units and five two-bedrooms) and a retail unit occupied by coffee shop Butler & Company. The buyer is Golden Lioness. Horrigan paid $3.5 million for the building in 2013. A Cushman & Wakefield team led by Stephen Palmese and Brendan Maddigan represented the seller. The post was updated to include the brokers on the The Ice Cream Factory transaction.